Meghan and John Anderson guided me through the process of purchasing my first home in Sioux Falls while eliminating the stresses of searching, touring, negotiating, and closing. John and Meghan provided me the tools, information, and confidence to make informed decisions and anticipate pitfalls before they happen. I will continue to recommend Megan and John to anyone looking for realty services and expertise in our growing market and I’m overwhelmingly pleased to call them both my friends as I transition into a new stage of life in a new home. These two have a wealth of industry knowledge and phenomenal people skills. 5/5. We were first time buyers and John/Megan both educated us on the process and helped us realize what we were looking for every step of the way. Even while taking a weekend off with family (if realtors ever get to have time off) they worked to make sure we were taken care of and took time away from family to take care of us. Mr. John Anderson is hands down the best realtor in town! He worked around our schedules and always had time to show us a house we wanted to walk through. Working with John made buying our first home stress free! (Can’t say my significant other would agree). 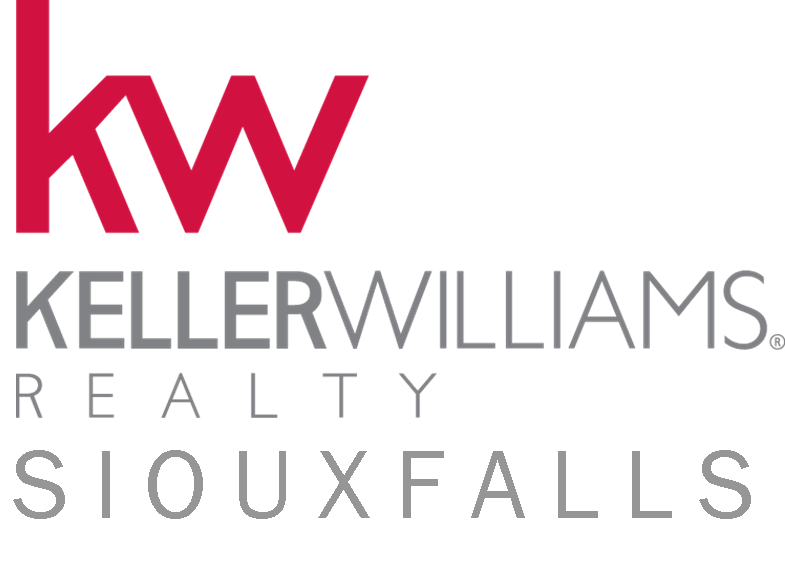 We highly recommend John and his team if you are looking for a house in the Sioux Falls area! Can’t wait to work with him again in the future! John and his team are absolutely amazing! I couldn't have asked for a better group to help handle my house hunting experience. John helped me every step of the way. Even after closing, John is still there offering to help in any way he can. I highly recommend John and his team at John Anderson Real Estate - Keller Williams! A very hearty "well done" to team John Anderson Real Estate! We appreciate the seamless transaction and the personal service we experienced from meeting, and staging to closing. Our sincere thank you! John went above and beyond to help with even the smallest detail. If you are looking for stellar service from a stellar team, call John Anderson Realty!! What a great company. Sold my house in 3 days. Great customer service helped me all along the way. Checking on everything even after the sale. I highly recommended them for anyone. John is an"awesome guy". He walked us through selling our house &amp; buying another &amp; kept us informed through the entire process. He was never "too busy" to return our calls. Our house sold in 3 hours &amp; John got us well on our way to purchase a house we had dreamed of all our life. We couldn't be more pleased with John Anderson Realty &amp; without a doubt refer everyone to him at Keller-Williams. YOU are the best!!! John helped us buy our first home. He and Meghan were there for us through the whole process. They made what should be a more stressful situation, fun and exciting! If I found a house I wanted to look at, John made it possible with his schedule and our schedule to look at it ASAP. Thank you to the John Anderson-Keller Williams Realty team for your hard work! John was a blessing to work with when buying our 2nd home. We met John at an open house and immediately knew we wanted him as our agent! He was kind, interested in our family and answered some initial questions we had immediately. After we sold our home very quickly (also thanks to John), we were in a time crunch to find our next perfect home. John remained Optimistic and determined to help us meet that goal! He was always available to answer questions and concerns. He was attentive to our needs and wants and really listened to what we desired in a home. When he was unsure of an answer he quickly consulted his colleagues and got back to us. In the end, John helped us find our perfect home and without hesitation we would recommend him to friends and family alike. Joyful experience, amazing outcome! Thanks John, for all your work! John was very friendly and helpful with our house purchase. He seemed to be available any time we needed him and he found us exactly what we where looking for at the price we needed. John is amazing! He was there for every portion of our home sale and always knew the next best step! John honestly had all the answers we needed and made our home buying process extremely simple! His assistant Meghan also is amazing at keeping you informed and reminding you about the small things you might forget through the process of buying a home! Next time I have a home sale/buy John &amp; Meghan will be who I will go to! Thank guys! Your amazing! John had our house sold in mere minutes, literally ! Not only is he efficient, he is a pleasure to work with . And his assistant &amp; beautiful wife Meghan made sure all was well with us along the way. John helped me find the perfect town home! He worked around my schedule for showing me places. Great to work with! Thanks John. John was absolutely wonderful to work with! We were unfamiliar with realtors in the Sioux Falls region and were recommended to John by a friend. We were blessed to have such a caring realtor and will definitely be keeping our business with him as the years go on! Thank you, John! Working with John was quick and easy. Got into houses quickly and was moved into the house roughly after a month of getting the offer accepted. Would highly recommend him to anyone searching for a home. We are SOOOOOOO thankful we randomly decided to call John one day! We walked through a couple different options and John was great. If you're looking for someone who is going to take care of you and actually invest time into finding something special for you then call John. There are a lot of realtors in Sioux Falls, but we would choose John every time! It means a lot to be treated with respect when buying a house. It was also wonderful to trust what he was telling us every single time! Mr. Anderson made the home buying process as simple as 1+1=2! From the day we put in the offer, until the day we closed, John had everything under control. He explained every step of the home buying process in great detail and was always available if I had any questions. Working with John was very comforting and a very enjoyable experience! My husband and I were referred to John through our banker. We had no idea what to do or expect when we started looking for a home of our own. Luckily with the help of John we were able to find the home we were looking for in just a couple of weeks! He did a wonderful job representing us and making sure to show us different things and had us open our eyes to different things. John was willing to work with the crazy schedules my husband and I had and even submitted our offer at 11 pm. We would absolutely recommend John to anyone looking for an honest, hard working, friendly and all around great realtor. John was professional and responsive. He helped us find our dream home and was a pleasure to work with. I would recommend John to anyone looking for a realtor. John was great to work with. Was flexible with our needs and worked hard to find us our awesome first home. I recommend him to all my family and friends that are in the market to buy or sell their home.